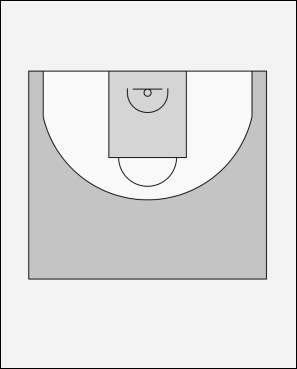 Coach calls "go", "left" or "right" and players 1 and 2 sprint around the appropriate cone on the baseline out to the wing spot. Coach passes to the first person open. Players play 1 on 1. Limit the number of dribbles.